Vulnerability Scan – one click to scan all vulnerabilities and security issues. Visit the following Bitdefender Total Security 2018 page URL HERE. Fill in the email address and then click “Get” button to grab the software. An email from Bitdefender will receive containing with license serial key and download link. Follow the email instruction to enjoy Bitdefender Total Security 2018 full version. 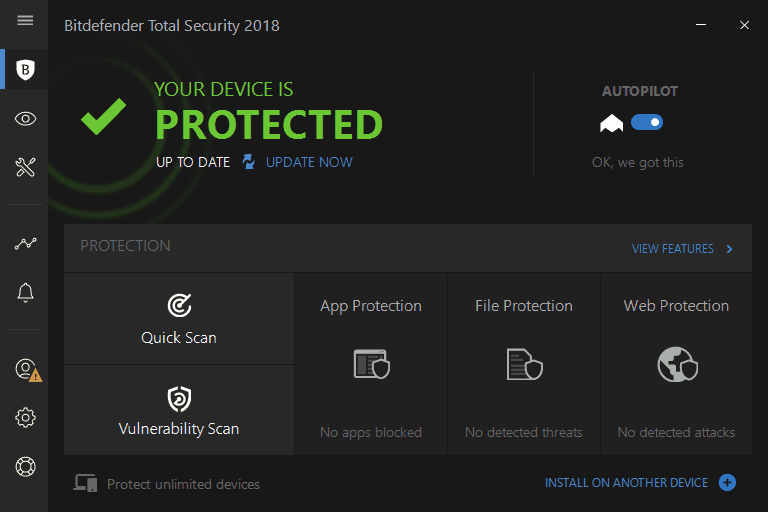 Bitdefender Total Security 2018 is compatible with Windows 10, Windows 8, 8.1, Windows 7, Vista, and Windows XP.